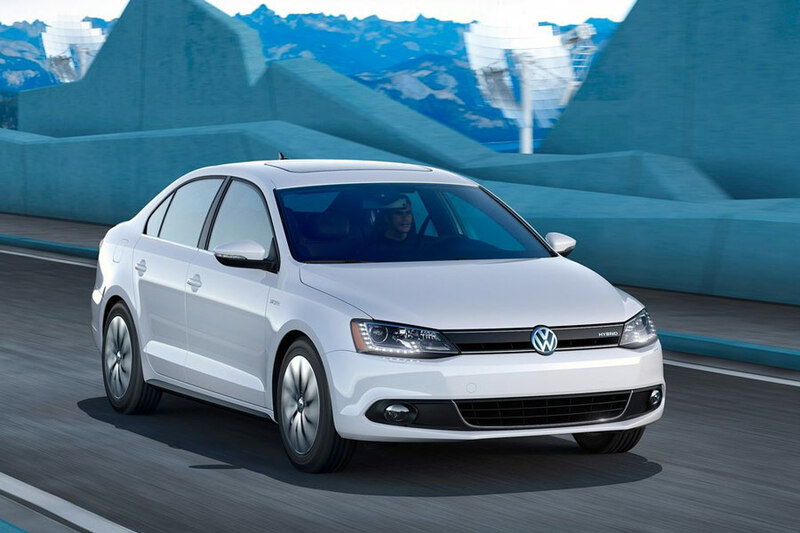 With its premiere in Detroit at the 2012 North American International Auto show, the 2013 Volkswagen Jetta Hybrid introduces the electric propulsion to the already impressive line of Volkswagens. Featuring a 1.4 liter gasoline engine and a 20 KW electric motor working in tandem to provide 45 MPG fuel economy and peppy performance, the Jetta Hybrid can go from sitting still to 60 MPH in under 9 seconds, and do it without guzzling the gas. 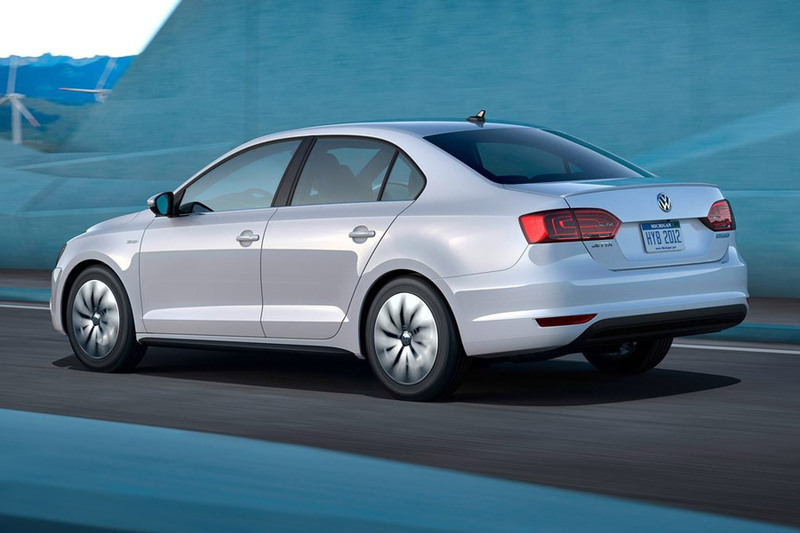 The new Jetta will be available in the states in the fall of 2012. 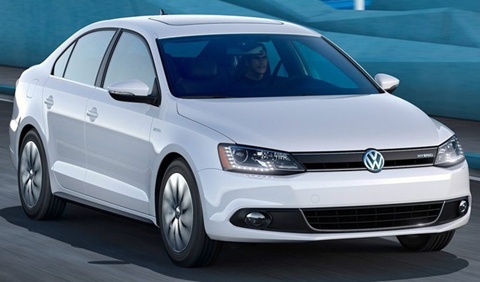 As with other hybrids in the Volkswagen line, the Jetta drive train works in a parallel fashion with a clutch that decouples the gasoline engine from the drive train when coasting or braking, allowing the electric motor to take over. When the charge on the battery is low or acceleration or higher speed is called for, the decoupling mechanism disengages the electric motor for pure combustion engine power. The vehicle is also smart enough to know when to use the 2 motors together for optimum performance. Speeds of 44 MPH over a mile and a half can be achieved if need be on electric power only. When both means of propulsion are pushing the vehicle, power rating is estimated to be near 170 HP. The power supply for the electric motor is a lithium-ion battery stored under the rear seat so it takes up no seating area space. Comprised of 60 individual cells, the battery is cooled by a fan integrated into the system, which also monitors the battery, provides safety features, and does constant diagnostics, all to make sure the battery is performing optimally and safely in unforeseen conditions. On the outside, the Jetta Hybrid benefits from distinctive features such as a redesigned spoiler in the front, and a diffuser and spoiler in the rear. New headlights contribute to a modest facelift, with LED running and rear lights. Wheels and tires help characterize the hybrid as well, which sports specially designed 15 inch alloy wheels inside of low resistance tires. Several nameplates identify the car as "Hybrid" along with a newly designed blue setting for the traditional Volkswagen logo. On the inside, the Volkswagen Jetta Hybrid resembles other Jettas with the exception of additional instrumentation related to the hybrid drive train. The addition of thicker windows on the sides and a redesigned acoustically treated windshield make it a quieter vehicle than other Jettas.